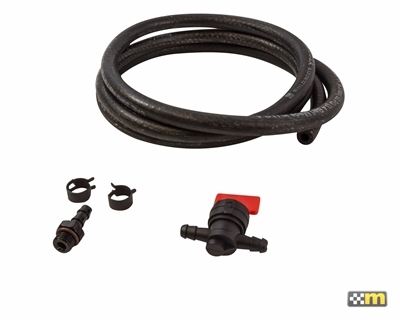 For use with our Radium Catch Can kits, the Petcock Drain kit adds an easy option for remotely draining the catch can without the need to unscrew the canister body. Includes high quality O-ring sealed ball valve rated to 125 psi. Where as I haven’t driven with these long enough to drain em yet, I know when the time comes, this will make it that much easier. Just like the rest of the system, the build quality and craftsmanship is superb. Takes some planning to route the hoses out of the way and still be able to access during the draining events. May be overpriced for what it is.